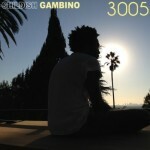 Childish Gambino (Donald Glover, of Community fame) has a new album. The first tune is pretty dance-friendly and catchy, for sure. The song dropped on my birthday, Oct. 22, so it’s barely a week old. Coverage of the release of the new album (titled because of the internet) from HitFix says to expect the whole record on December 10. And if you can’t wait that long, read the Childish Gambino blog.